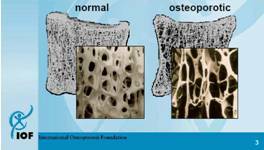 How can Osteoporosis affect our lives? Fracture risk in women is four times higher then in men. 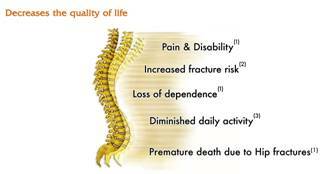 A healthy diet at all stages of life is essential for prevention of osteoporosis. - Enrich your body with food rich in calcium such as fish, dairy products and green leafy vegetables. 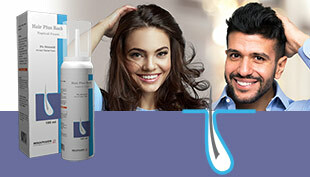 - Sunlight is the most important source of sunlight, make sure your skin gets adequate exposure of Sunlight. - Enrich your body with food rich in Vitamin D such as fish oil, egg yolk, margarines and fortified foods. Exercise regulartly, especially weight bearing exercise.